GRK 10 Year Anniversary Concert at Grace St. Theater! 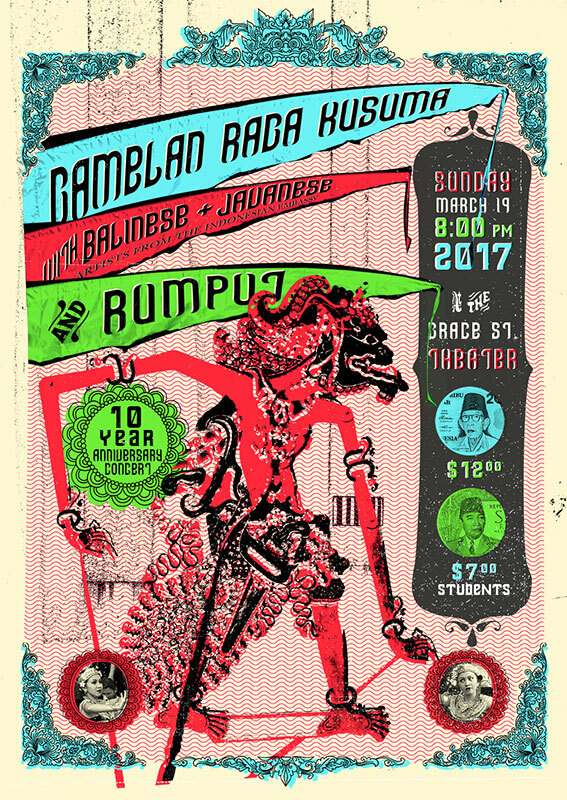 GRK + Rumput are joined by master musicians and dancers from the Indonesian Embassy to present an evening of Balinese and Javanese music, dance and shadow theater. Tickets available beginning 2/26/17 via:http://www.showclix.com/ The GST performance will be immediately followed by an Indo-Noise-ia performance across the street at Strange Matter: 9:30-11:00 featuring Beleganjur, Feminacci, Azitrax and Tavishi. 9:30-11:00. $7 benefit for Planned Parenthood.